The Amazon-Walmart-Alibaba battle is no longer focused on China. Now, it’s all about India as these three firms go head to head in the second-most-populous country on earth. In just the past week, Amazon has become the first foreign e-commerce firm to launch a food retail operation in India and reports have come out that Walmart is in talks to acquire 40% of Indian e-commerce giant Flipkart. And, over the past year, Alibaba has made significant investments in Indian firms specializing in e-commerce, online grocery and logistics. Retail giants are now racing to build out their Indian interests, supported by a liberalization of ownership rules. For a long time, restrictions on foreign direct investment (FDI) stymied global retailers’ ventures into India: since 2012, foreign retailers have been allowed to own only up to 51% of multibrand retail operations, such as department stores and supermarkets, in India. In 2016, however, the Indian government indicated that it would allow 100% FDI in food-only retail as long as the food is produced and packaged in India. While Amazon operates as a retailer elsewhere in the world, FDI restrictions in India forced the company to operate its Amazon.in site as a pure marketplace of third-party sellers. However, India’s recent liberalization of FDI rules in food retailing has allowed Amazon to launch its new, solely owned food retail venture in the country. This month, Amazon launched a pilot in Pune, in western India, under which it will sell food products on its own Amazon.in marketplace. 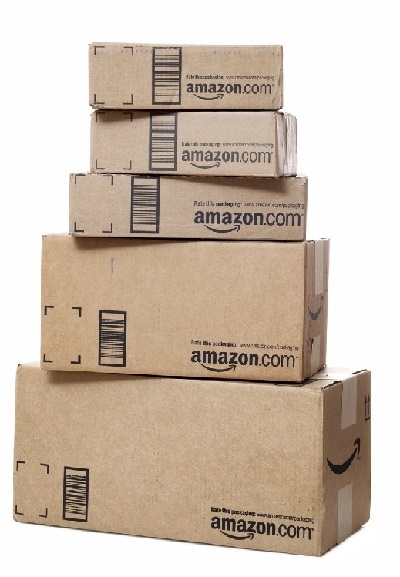 This is the latest step in Amazon’s effort to build share in the high-growth Indian market. Last July, the company launched its Prime Day promotions to Indian shoppers for the first time, and it has steadily built out a network of distribution centers in India: in February 2018, research firm MWPVL recorded that Amazon had 41 fulfillment centers, 25 sortation centers and 150 smaller delivery stations in the country. Amazon India reported a 66% increase in gross merchandise volume (GMV) for the six months ended September 30, 2017. Flipkart is the undisputed homegrown leader in Indian e-commerce—although the company and Amazon dispute which of them is the largest e-commerce player overall. If Walmart were to purchase 40% of Flipkart, it would value the latter at $12 billion, according to Reuters, which broke the news. Morgan Stanley had valued Flipkart at $5.6 billion in November 2016, down from a peak valuation of $15.2 billion in 2015. Flipkart has evolved its business model over time. It launched with a consignment format, which meant that it procured stock on demand, based on the orders it received, but it later became a conventional retailer, holding its own inventory. Now, Flipkart operates as a marketplace and it does not own the inventory sold on its platform. The privately owned firm reported a 43% increase in GMV in the six months ended September 30, 2017, according to a LiveMint.com report. Across 2017 and the early part of this year, Alibaba Group made a number of investments in the Indian market. In February 2017 and again in October, it increased its stake in marketplace Paytm Mall. In December 2017, it became the biggest investor in online grocery retailer BigBasket via a $146 million investment—meaning that Alibaba and Amazon will now be competing head to head in India’s online grocery sector. And in January 2018, Alibaba invested $100 million in logistics firm XpressBees, according to The Economic Times. The competition between Amazon, Walmart and Alibaba will make India one of the most fought-over of the developing e-commerce markets. The e-commerce situation is different in China. There, Alibaba and JD.com dominate the channel, Walmart’s e-commerce operations are now closely tied to JD.com, and Amazon is a minnow with just a 1% share of the country’s Internet sales in 2017, per Euromonitor International. There remains plenty to fight over in India. E-commerce accounted for 5% of Indian retail sales in 2015, equivalent to $30 billion, according to the India Brand Equity Foundation, but the organization expects that share to grow to 12% in 2020, quadrupling in absolute terms to $120 billion. Readers can find an abundance of reports on Indian retail and technology on our website, and we will continue to cover developments in this market.